Some of our clients in Rotterdam, the house also in sales. To avoid double housing is temporary rental of the house or apartment a means to combat vacancy. Rent to expats so can help you if you have not sold your old home and has already purchased a new home. 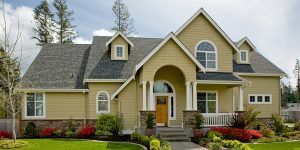 You need permission from the lender when a mortgage on the property. This permission is needed to leasing the house furnished. The church is not a party. To temporarily rent out accommodation is necessary permission from the municipality. You must apply for a permit Leegstandswet this. With this license you can get permission from your mortgage lender to sell your house or apartment in Rotterdam. Rental housing intended, you may rent up to 7 years for demolition or renovation. Abandoned buildings without residential use, you may rent up to 10 years. The license is granted for a period of two years. At your request, the permit can be extended is reached, each up to one year the maximum duration. The apartments for sale permit is suddenly granted for five years. Weenawonen makelaar rents generally only to expats. This has to do with the rent protection. Expats are their employer temporary jobs working on an assignment on project. You are sure that they will leave the property after a certain period. The clients we work with are expatriates in the upper segment and finding a home for at least one year. The companies and other stakeholders stabbing a lot of time and money in finding the perfect home for their employees. For that reason, they are not prematurely move it when the employee does and that the property is removed from sale. Visits are not allowed. Of course there are exceptions, but the multinationals which we prefer to represent not rent homes based on the Leegstandswet. The advantage is that we rent in the upper segment, with good budgets and long periods. 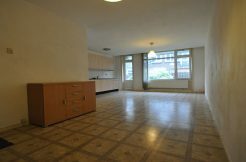 Do you have to buy your house or apartment in Rotterdam are furnished and want to rent to expats through Leegstandswet? One of our letting agents will be pleased to visit you for an informational interview. 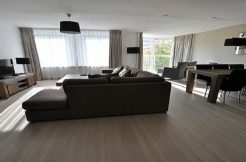 Furnished three bedroom apartment for rent on the Weena in Rotterdam Center. Two rooms apartment for rent on the Mekrapstraat in Rotterdam South.